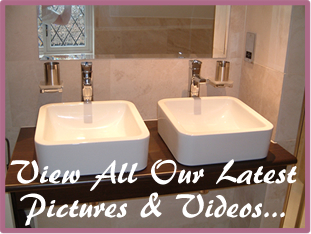 Each one of the team at Sheridan Bathrooms has a wealth of knowledge and experience in their individual fields. We work well as a team and keep our work environment clean, always conducting ourselves in a professional manner. We are fully insured to carry out works on your premises. Having been established for 20 years, you can feel safe in the knowledge that we are a reputable company. We believe this is a statement in itself that you can trust us to carry out any work for all requirements you may have. Should a problem arise, we aim to resolve issues with a minimum fuss as possible. We offer a no obligation quotation service, we aim to turn your quote around as quickly as possible via your preffered media, whether it be post or email. All our work is fully supported and backed up by manufacturers guarantees. If you feel your product hasnt had the life expectancy you were hoping for, we will take your case straight to the manufacturers on your behalf. We take 50% deposit prior to work being undertaken. The final 50% is due once the work is completed to your satisfaction. We accept cash, cheque, credit card cheques and BACS transfers. We also offer stage payments for larger jobs. Once you initial deposit has been received, we will book your time in and you will receive confirmation of start date. Please feel free to take a look at our testiomials to view some happy customers.